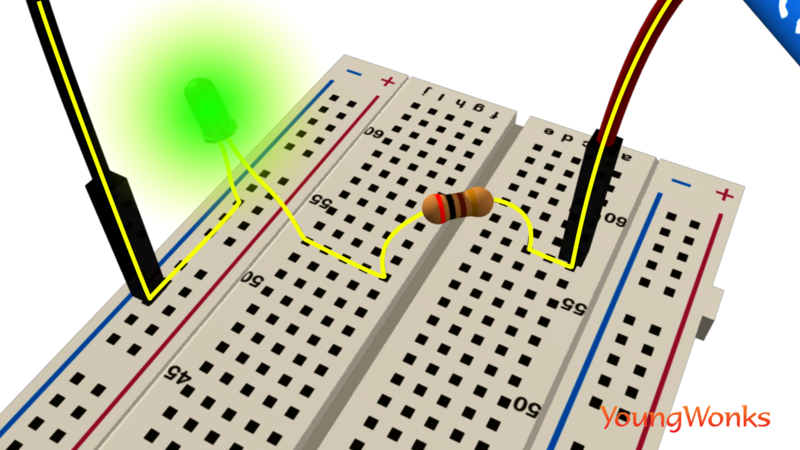 Using a breadboard is a key step in electronics. Once one has made the correct connections on a breadboard, current will flow through it and by writing the right code, one can use that power to carry out a series of electronic tasks such as lighting an LED (light-emitting diode). 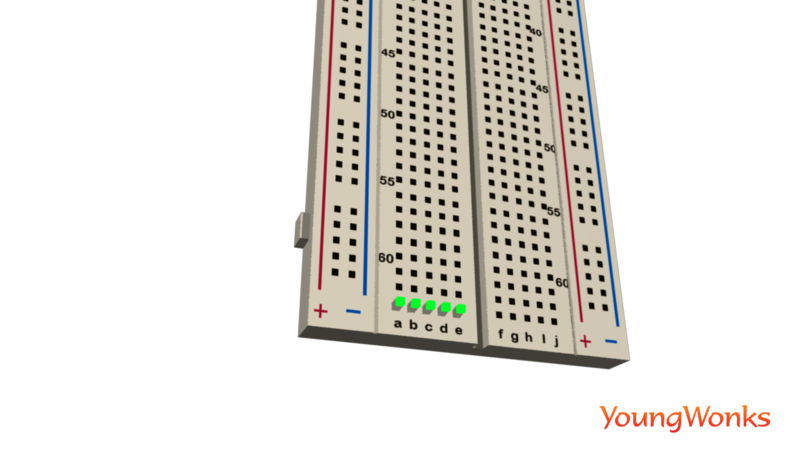 In this blog, we shall answer the basic question: how do you use a breadboard? A breadboard is named after a bread board, a polished piece of wood used for slicing bread; it is a board used for prototyping in electronics. This means that it is used for making experimental models of electronic circuits. In other words to build and test an early version of an electronic circuit, using components such as battery, switch, resistor, and an LED. One can use it for fun electronics projects, be it robots, home automation systems or even weather stations to name a few instances. It is essentially a rectangular plastic board with several tiny holes in it. 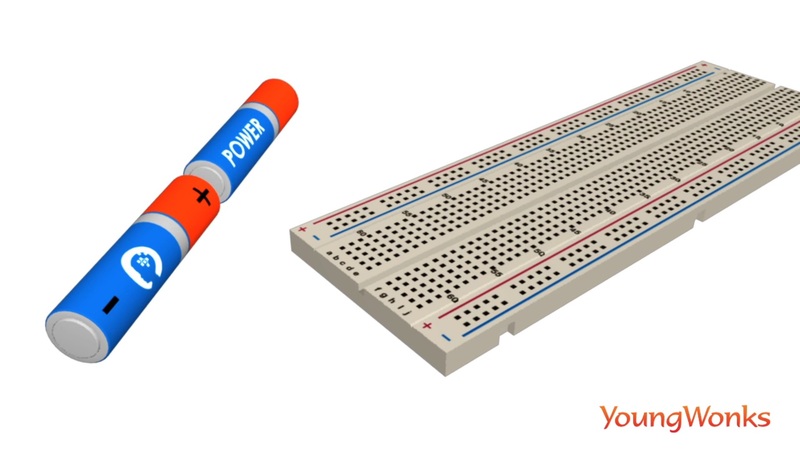 Holes in the same row on a breadboard are called socket strips and electricity can flow through the row as these holes are connected to each other with a conductive metal. 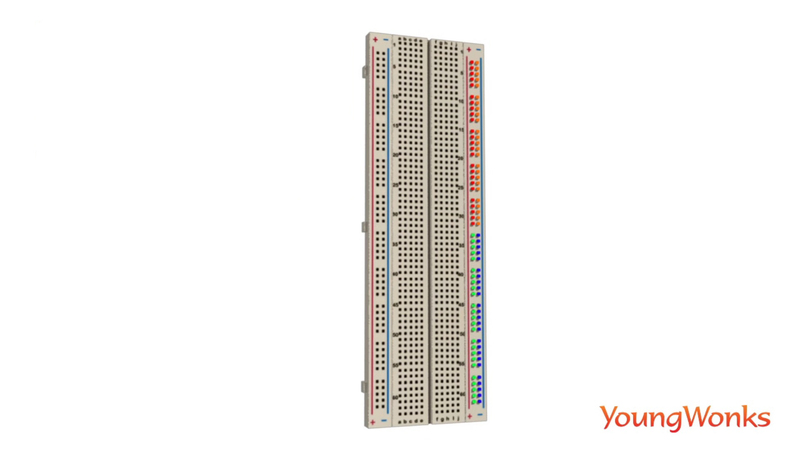 The vertical rails on the breadboard, called bus strips, are also connected by a conductive metal; they supply power to the circuit. When the circuit is complete, current will flow from positive terminal (also called power) to a negative one (ground). In this circuit, batteries are the power source. A complete circuit is one where each of the components are in contact with the other either directly or through breadboard strips. The flow of current through the circuit causes the LED to light up. 1. The power and ground should never be directly connected to each other. Direct connection leads to a short circuit. One must always use a resistor (as shown) to regulate the flow of current. Here the yellow line denotes the current path. 2. Always connect the batteries (power supply) to your circuit last. 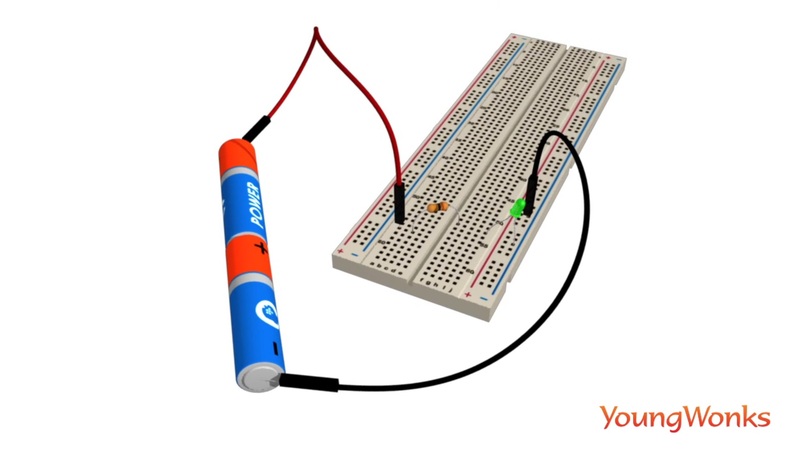 This will give you a chance to double-check your connections on the breadboard before you turn on your circuit for the first time.